After a very tough week of competition in Buenos Aires, including 9 races, the crew of BulletProof, helmed by Juan Ignacio Grimaldi was able to capture the 2011 Argentine National Championship. The lead changed hands several times over the course of the event with the winning team not determined until the final day of competition. 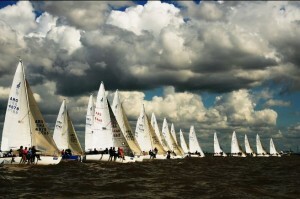 This year’s event marks the 30th annual J/24 Argentine Championship and is the 10th national title for Grimaldi.